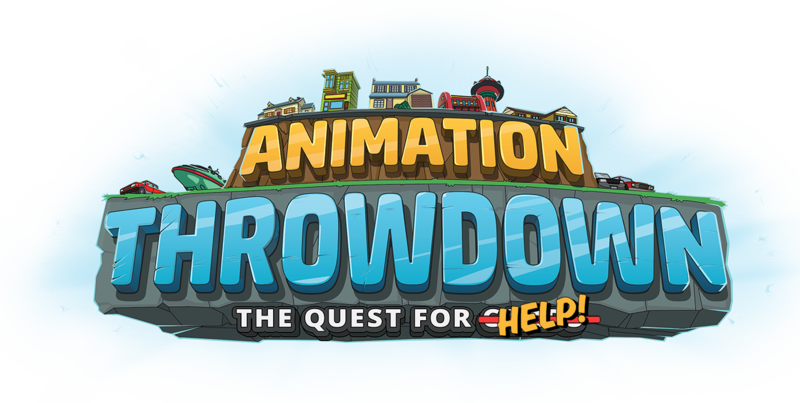 We are excited for 2019 and what we have planned for Animation Throwdown! Read below for some highlights from our plans and responses to some of the most frequently mentioned areas of the game. This isn’t a complete list of everything we are working on. Our comments on future plans reflect our current stances and are not a guarantee of what will make it into the game: some items may be adjusted or changed in the future. For questions and comments, please join the discussion on the official forums! Thank you all for playing and supporting Animation Throwdown. We recently added individual rematch prevention in Rumbles, which will take effect in the next upcoming Rumble. This means that you should not face any single player more than once during a Rumble match. We do not currently have additional plans to change MMR or matchmaking but will continue to monitor each event for improvements. We plan to release clashes approximately every two weeks, although there is not a hard structure to the timeline right now. Some of these clashes will be repeats of clashes we have already run, while others will be brand new. Burgerboss and Swole Club do not have a definitive schedule since they are more intensive for our design team to create. We will continue to run those events every few months, during times when clashes are not active. What changes can we look forward to for SFC? What will be done to address leapfrogging or sandbagging? To start, we have capped the maximum benefit players can get in clashes from climbing SFC. In order to limit leapfrogging, we are making a change to how your defense deck is selected in SFC. When other players see you in SFC, they will fight the last deck you won a match in SFC with, rather than your currently selected deck. Our intent is for players to reach high ranks of SFC naturally, rather than give the incentive to climb artificially through leapfrogging. Likewise, since clashes benefit from higher SFC, we hope to minimize the incentive of sandbagging. We will continue to monitor SFC for future improvement needs. Features or fixes that will be in an upcoming client or server update, or are planned for later this year. We are still working on displaying loot odds within the game. Additionally, we are considering releasing the odds early on the forums, since it will take some time for us to prepare the client. We are reviewing the Combo Mastery system as a whole. One of the areas to be addressed is the limitations on the accessibility of different Mastery Tokens under the current system. A potential change is to increase the number of available mastery options in the store from 2 to 10; for both Gems and Mastery Stones. Additionally, the new Tier Boxes have opened up more avenues for those seeking Combo Mastery tokens, and we will continue to evaluate their impact on overall Mastery Token availability. We will continue to take player feedback into consideration as we explore additional improvements to the Combo Mastery system. More news will be shared at a later date. A buyback system would allow players to purchase previously recycled cards with giggitywatts. In turn, we would be able to buff older cards without the recycle regret and influx of support tickets asking for cards to be restored. It will also help players get a faster resolution if a card was accidentally recycled. For those of you who play Spellstone, you may be familiar with the concept of card buffs: previously released cards are reviewed and some have their stats permanently increased. Once we release the buyback system, we are able to do card buffs in Throwdown, in order to increase the number of viable cards and strategies. Card Buffs would be announced from time to time and would include both premium and standard cards. This is one potential approach to addressing concerns about the current card pools. Additionally, event boxes in the shop may offer recently buffed cards so that newer players also have access to them. This item is still on our radar, but we do not have more news to share at this time. What are your future plans for adding more mythics and how will they be obtained? We plan to continue releasing character mythics in the store. For now, the primary source of object mythics will be focused on the clash rewards. Will you increase the availability of Mythic Object and Super Mythic stones? Yes. The new clashes are one method of increasing the number of stones available to players, giving both Super Mythic Stones and Mythic Object Stones. You can expect to see clashes more frequently than other special events, giving experienced players better access to mythics. Do you have any plans to replace Mythic Stones with Super Mythic Stones? If no, why not? Replacing all Mythic Stones with Super Mythic Stones is a double-edged sword. Although this increases the pool of available mythics, it also makes leveling up a single mythic much more difficult, since there is a lower chance of getting more stones for any one mythic. Also, there are many players who still find regular Mythic Stones quite valuable. Rather than simply replacing the stones, we plan to make both Mythic Stones and Super Mythic Stones available through different events. This can already be seen with the second run of Winter Clash that started on January 21, 2019. In the past, you briefly mentioned we might see some new shop options, such as more ways to spend our Golden Turds. Any news on that? It remains true that we want to further support deck variety through new events (like Clashes) and new shop options (like Tier Boxes). Additional options for Golden Turds is an idea we are still considering, but we are in the midst of evaluating how Tier Boxes have impacted balance, economy, and the community first. We may not have more news in this area for a couple of months.